The City of Chattanooga will be remediating Northpoint Boulevard. Businesses that own parts of Northpoint Boulevard have agreed to donate the rights of way for the city to make repairs to the road and improve the quality of life for Chattanoogans who use the road to get to and from work, school and businesses. Following years of new development and significant growth in the area, Northpoint Boulevard serves as a connector between two major highways – Highway 153 and Hixson Pike. 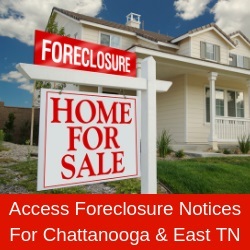 Currently, parts of Northpoint Boulevard are owned by the City of Chattanooga and the rest by private entities. “One of my first priorities upon taking office in 2013 was to address the poor road conditions in Hixson, especially Northpoint Boulevard, as it was a primary thoroughfare for our community but could not be paved since it was a private and publicly-owned road,” Councilman Ken Smith says. While it is not standard practice for the city to accept donations of private roads, Northpoint has a series of road defects impacting the safety of numerous Chattanoogans who travel the road daily for work and to access businesses. Construction began Sunday, July 23 and will last about one month. The repairs to bring the road up to standards and increase safety are expected to cost about $500,000.